Whether we choose to like it or not, the fact still remains that we are highly dependent on the comfort that electricity provides us. It is the source of power that every lighting fixture, appliance, or mobile device that we own relies on. Our need to have a constant supply of electricity to power our devices and appliances is the reason why portable generators were invented. These machines are made of lightweight materials, making it portable and the perfect, temporary solution whenever there is a power outage. Portable generators are also a great companion for when we go camping or hiking in the woods. 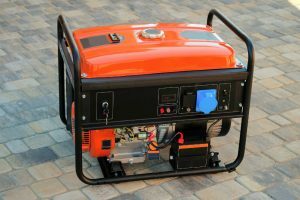 Unlike a full-sized generator that can be seen in homes and commercial establishments, portable generators are small in size. There is a wide selection of portable generators that are available on the market today. Some can be recharged by using a wall charger or car charger while others are powered by fuel. 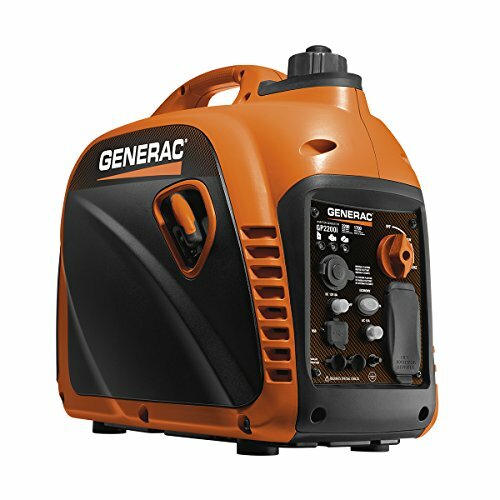 If you are on the hunt for a portable generator that uses fuel, check out the Generac GP2200i Portable Inverter Generator . 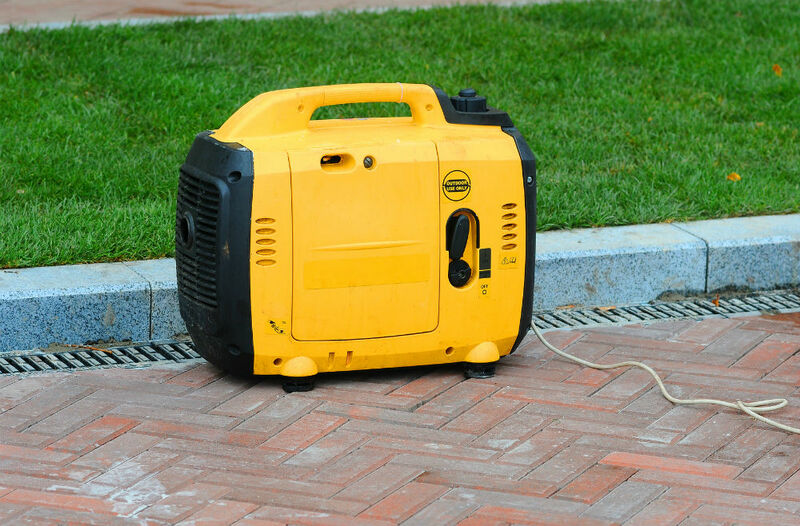 This compact, easy-to-use generator offers many features that cannot be easily matched by other portable generators on the market. Generac GP2200i Portable Inverter Generator is equipped with Truepower Technology that provides a clean and stable power supply for sensitive appliances, tools, and electronics. This machine boasts a compact and fully-enclosed 1.2-gallon fuel tank that can provide a steady electrical supply for up to 10 hours at about 25% load. This machine is perfect for active individuals who enjoy outdoor activities such as camping and hiking. It is made from lightweight materials and designed to be small in size for easy transportation. It also comes with a built-in handle. For those who wish to save on fuel while also enjoying the comforts that a generator offer, Generac GP2200i Portable Inverter Generator’s economy mode is perfect for you. It also comes with a noise reduction feature. You can easily tell the status of this portable generator because it comes with LED lights that alert you if it has low oil or is overloaded. For easy startup procedures, Generac GP2200i Portable Inverter Generator has an easy-to-use start dial. This reliable portable generator has a USB outlet and a DC outlet. It is also parallel-ready, making it easily connectable to another inverter for twice the power. It has a 1.2-gallon fuel tank that allows it to provide a stable and clean electrical supply for more than 10 hours. This machine is also made with Truepower Technology and comes with an economy mode option. Unlike traditional home generators, you can easily start this machine because it comes with an off/choke/run knob. This portable generator is the perfect temporary solution to power outages. It can supply electricity to electric fans, lamps, refrigerators, and electronic devices whenever there are calamities or when camping and hiking. It has both a USB port and DC outlet. It also boasts a noise reduction feature. Aside from Generac GP2200i Portable Inverter Generator, there are many other portable generators that are available on the market today. Among these is the Briggs & Stratton 30651 Inverter Generator. Just like the Generac GP2200i Portable Inverter Generator, this machine is also safe to use on sensitive electronic devices such as laptops and cell phones. It is also designed with a parallel connector, making it ready to be paired with another inverter for double the power. However, its 1-gallon fuel tank can only allow for around eight hours of continuous power supply at 25% load compared to Generac GP2200i Portable Inverter Generator’s more than 10-hour run time. After all has been said and done, we can conclude that it is better to invest in Generac GP2200i Portable Inverter Generator rather than the Briggs & Stratton 30651 Inverter Generator. This is especially true for those who prefer or need longer hours of operation. Although they offer virtually the same features, Generac GP2200i Portable Inverter Generator boasts up to 10 hours of run time because it has a bigger fuel tank. The Briggs & Stratton 30651 Inverter Generator is also a lot heavier at 55 pounds compared to Generac GP2200i Portable Inverter Generator’s 46.6 pounds.